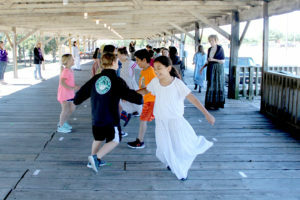 A group of kids recently had a chance to step back in time and experience life in Farmersville more than a century ago. For over 20 years the community has worked to produce Farmersville 1900, an annual event allowing fourth graders to spend two days immersed in their city’s history. This year it was held Oct. 11-12. For the complete story see the Oct. 18 edition or subscribe online. To browse or purchase photos from this event, click here.